In the wake of John Coughlin’s death, the figure skating community, U.S. Center for SafeSport, and United States Figure Skating (USFS, the national governing body) have been playing an incredibly public game of tug-of-war about the continuation of the SafeSport investigation and the fate of future investigations. 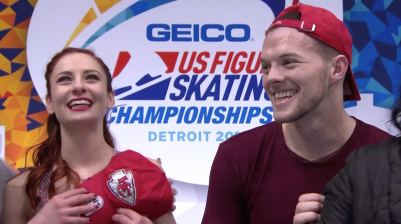 The Geico 2019 United States Figure Skating Championships took place from January 22nd to January 27th and were taken by many of the competitors and their coaches as an opportunity to publicly clear Coughlin’s name. Teams, mainly those coached by Coughlin’s former coach, Dalilah Sappenfield (pictured above with Coughlin and Caydee Denney at the 2012 Four Continents Championships). The skaters and coaches donned indigo ribbons to signify “crimes against targeted individuals of organized stalking and electronic harassment awareness” and red Kansas City Chiefs hats (which were removed or worn backward for the second day of competition due to a speculated broadcasting rights dispute) as an homage to Coughlin’s favorite team and hometown. Amidst the drama taking place rinkside in Detroit, USFS released a statement calling for SafeSport to continue their investigation on Coughlin posthumously, a request they will repeat on February 26th in a letter sent to both SafeSport and Representative Jerry Moran. USFS stated that the unfinished investigation has produced an extreme amount of “uncertainty [...] innuendo and continued speculation” about Coughlin’s guilt or innocence. Many were elated to see USFS encouraging SafeSport to continue their investigation amid the outcry from members of the community to dismantle the Center and protect the accused from their nefarious intentions. However, in a sport where abuse has a long history of being swept under the rug by federations, many have speculated that USFS is hyperfocused on this investigation as a way to divert attention from the rest of the abuse happening at the hands of elite coaches. As in many elite sports that have a small number of coaches and large amounts of dependency on the aforementioned coaches, amateur figure skating is infested with abuse and toxicity that takes on a multitude of forms. Young skaters are melted down and forced into the classic figure skater mold, both physically and mentally, with no heed taken to the potential fragility of a young person’s mental state and health. 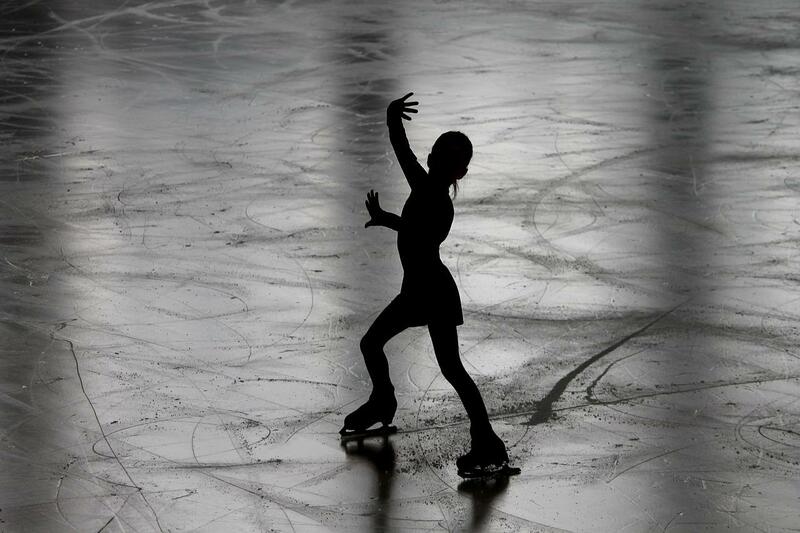 From eating disorders and body dysmorphia caused by encouragement to attain the image of a lithe and graceful skater to sexual assault, the culture surrounding the sport has cut promising careers short and caused lifelong damage. It’s instinct in a sport where appearances are of paramount importance to overlook warning signs of abuse and struggle if the packaging looks right. Beyond any one case of sexual assault or potentially fatal bought with mental illness, there lie hundreds more just like it. In its investigation, SafeSport reminds us that by hyper-focusing on John Coughlin, we ignore the true depth and breadth of abuse and unhealthy situations that lie just behind. Chloe is majoring in Government and International Politics at George Mason. She is passionate about politics and social issues, and writes about them frequently. Chloe is fueled by a love for iced coffee, the desire to give her chihuahua a better life and channeling her inner Leslie Knope every day.